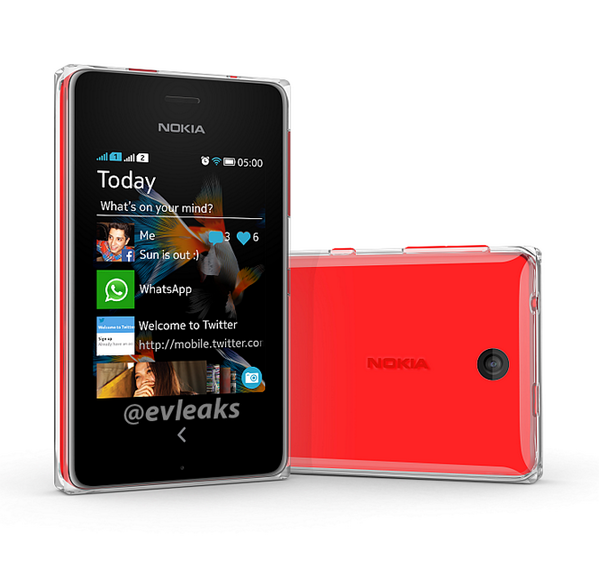 Man from @evleaks post an image of the upcoming Nokia Asha 500 with new Asha Operating System. This Nokia Asha 500 is similar to Nokia Asha 501 that has been announced by Nokia couples months ago. The announcement of this Nokia Asha 500 will be on Nokia's event on Oct 22nd 2013 or Q1 2014.